When traveling as a family it can be difficult to plan a vacation that will appeal to everyone, so it is important to consider what the destination will offer. Will the kids have outdoor space where they can run and play? Can parents easily navigate a new destination? Will the food be any good? Unfortunately for many destinations the answers to these questions can be difficult to answer. 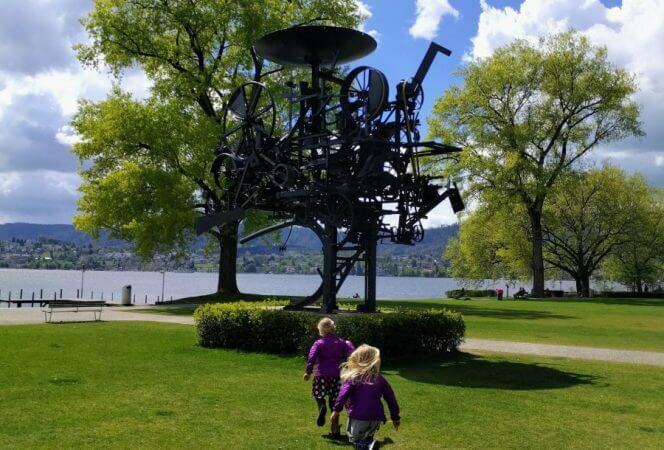 Hopefully we can help find a new destination for your family to consider by sharing our 7 reasons Germany is perfect for families. What the Germans may lack in vegetables they certainly make up for with delicious, hearty food. Of course many know of schnitzel (meat covered in bread crumbs), but there’s also potatoes, meatballs, and sausages. The German equivalent of mac n’ cheese is käse spätzle and my kids will eat it all day. Don’t even get me started on the German baked goods. Every afternoon German’s like to take kaffee und kuchen (coffee and cake). My children considered this an afternoon snack and an excuse to eat dessert every day. The kuchen part is usually a slice of the famous Black Forest cake, apple strudel, cheesecake or some other treat. My kids wanted it all. 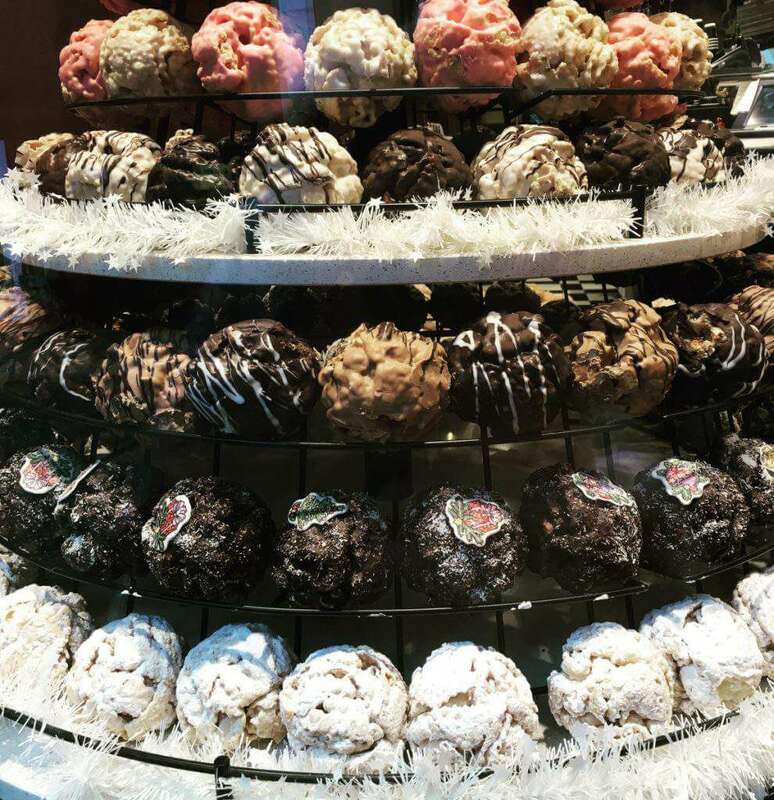 Just don’t try a schneeball. It’s a round pastry made of strips of short crust pastry covered with toppings. They look so good, but oh, they are so not. We found things in Germany to be extremely efficient, like a well oiled machine. Trains are fast and the German rail system is easy to navigate. Taxis are easy to find and plentiful. Renting a car is an easy process and driving the Auto Bahn is similar to highways in the United States. Parking lots are well marked, and drivers are patient. With many major airports, it is easy to fly within and out of the country. Families will enjoy the reliability of all modes of transportation. Obviously German is the official language of Germany, but for many, English is a second language. During two weeks of travel (and several prior visits) it was very unusual to find someone without conversant English skills. At the bare minimum we were able to fumble our way through a couple of conversations in broken English and German. Also, many English words are based in German. Bretzel is a pretzel, autobahn is a highway, apfelstrudel is apple strudel, kaffee is coffee. You get the idea. Most restaurants will offer English translations of their menus which makes it easy for kids to choose what they want to eat. Some will even have pictures. Your kids (and husband) will get a laugh out of all the German signs with the word “fahrt”, such as einfahrt (entrance) and ausfahrt (exit). Let them giggle and then take pictures when they’re not looking so you can laugh with your friends when you get home. The kids’ favorite sign: 1 Fahrt is 1.80 Euros. Of course it is. Germany has over 25,000 castles including some of the most beautiful in the world. The country even has a “Castle Road” running 1200 kilometers from Mannheim over the border into Prague. Visitors will find over 70 castles, palaces, and stately homes along one main road, traveling through cities such as Heidelberg, Nürnberg, and Rothenburg ob der Tauber. These castles are the perfect opportunity for kids to act out their princess and knight fantasies as they step back into the Middle Ages. 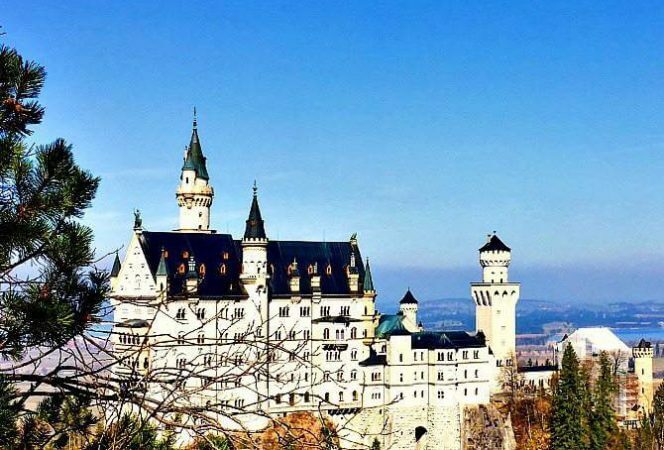 Although not on the Castle Road, try not to miss Neuschwanstein Castle in Bavaria as it is one of the most popular attractions in Germany and the inspiration for Walt Disney’s “Sleeping Beauty”. 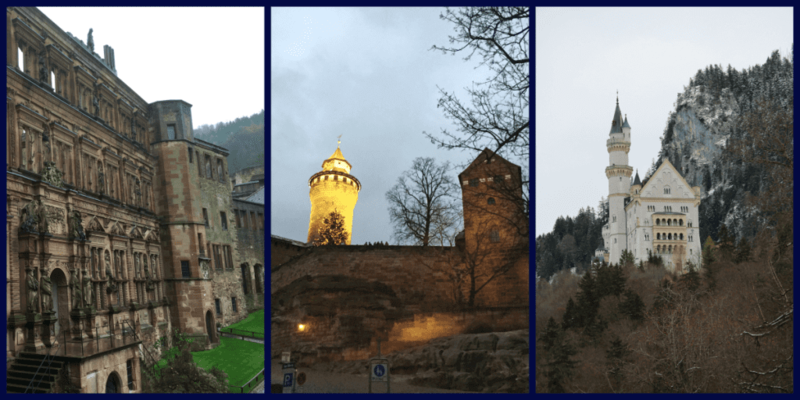 Many castles in Germany also offer overnight accommodation, so if this is on your bucket list, know this can happen in Germany. 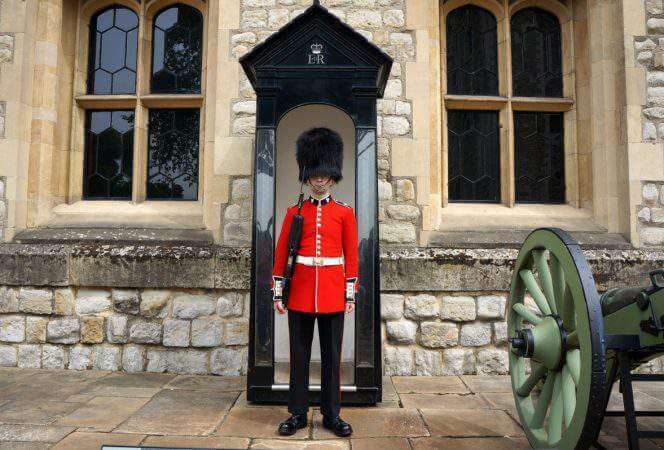 The website Castle Hotels of Germany is a great place to start. We stayed at Castle Colmberg outside of Rothenburg and it was an experience our children would highly recommend. 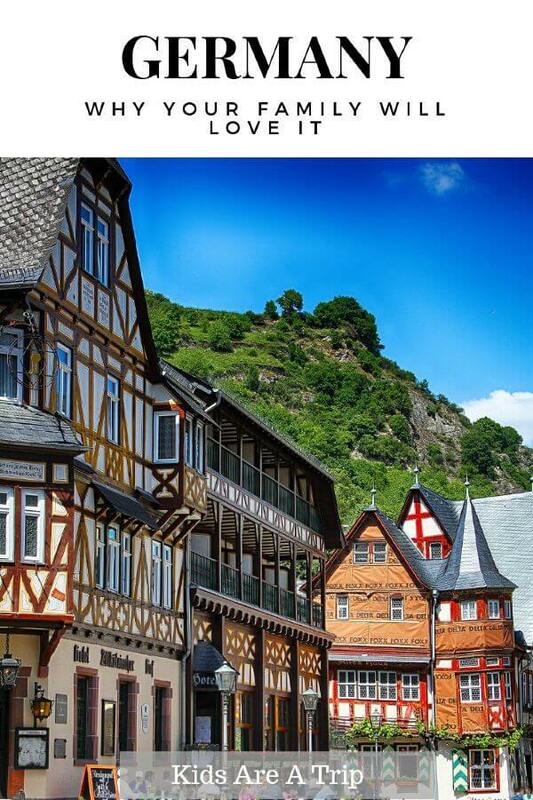 Germany has natural beauty everywhere you look. There’s the expansive beauty of Lake Constance (Bodensee) to be enjoyed, skiing and hiking in the Alps, and the uniqueness of the Wadden Sea Mud Flats. There are forests, vineyards, rivers, lakes, and mountains to explore. Families can hike, bike, swim, and canoe during the warmer months and ski, sled, and hike in winter. Families will love the variety of outdoor activities Germany has to offer. 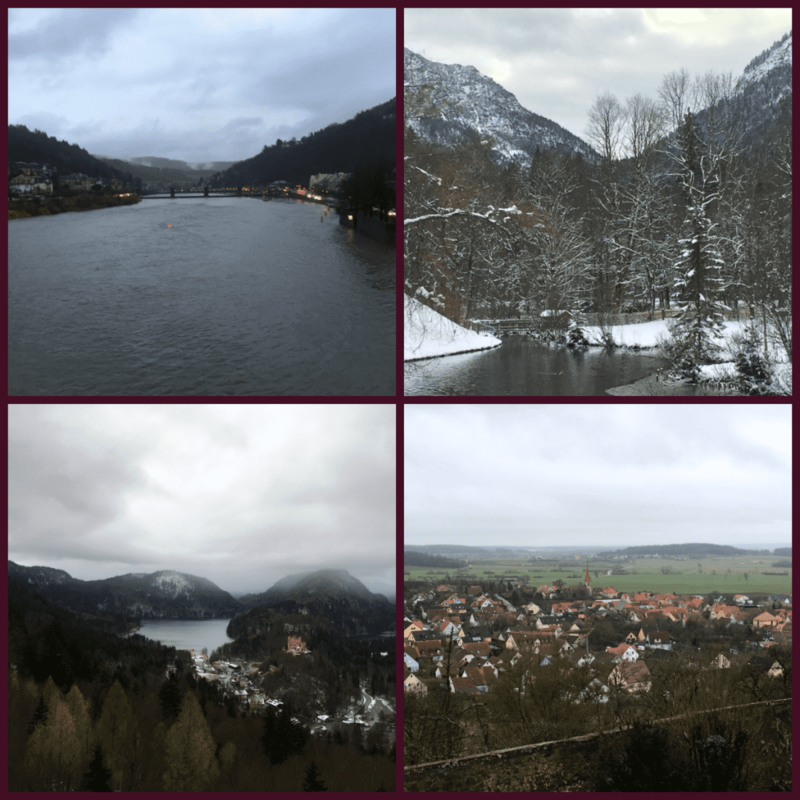 From top left: Neckar River in Heidelberg, Alps outside Ettal, view from Colmberg Castle, view from Neuschwanstein with Hohenschwangau Castle in the distance. With its central location in Europe, Germany is easy to access. The most popular airports are Frankfurt, Munich, Düsseldorf, and Berlin. Any of these cities are great starting points for a German vacation. Many of Germany’s traditions and customs are still alive today and can be seen throughout the country. 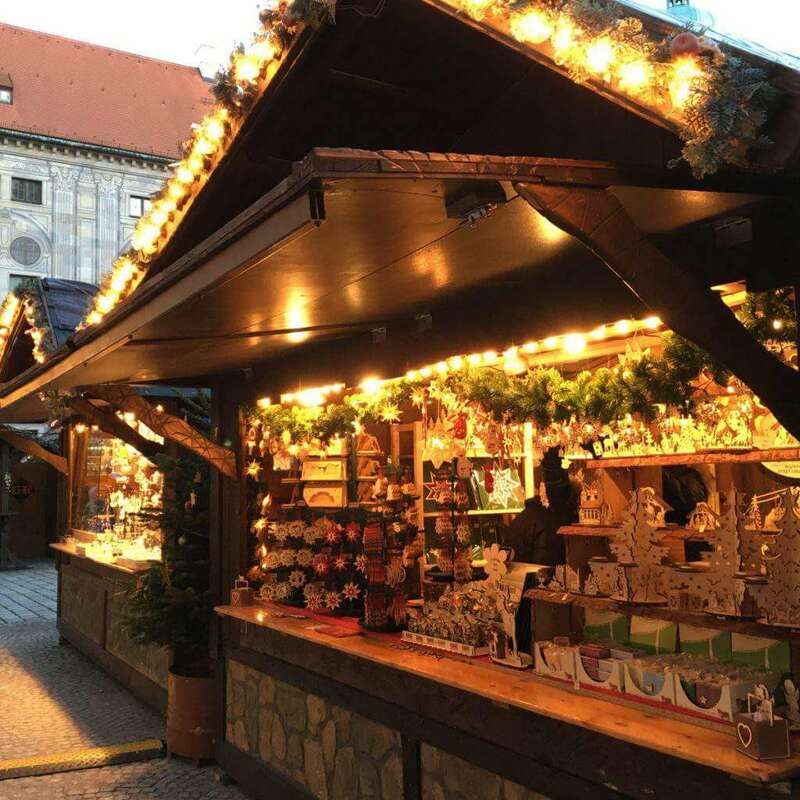 Germans invented the Christmas market, which is a wonderful excuse to visit with your family during the holidays. They also invented the teddy bear, the cuckoo clock, and garden gnomes. There are many places throughout the country where families can see traditional German craftsmanship that has been preserved from generation to generation firsthand. Traditional wood carvings at the Christmas market. Germany has a rich history that can be seen in its national monuments. Children will love exploring sights such as the Roman ruins in Trier, or taking in the view from the top of Zugspitze. Parents will appreciate the Brandenburg Gate, Sanssouci and Würzburg palaces, and Cologne Cathedral, one of the largest in Europe. The German museums we have visited do an amazing job sharing the history of the country. 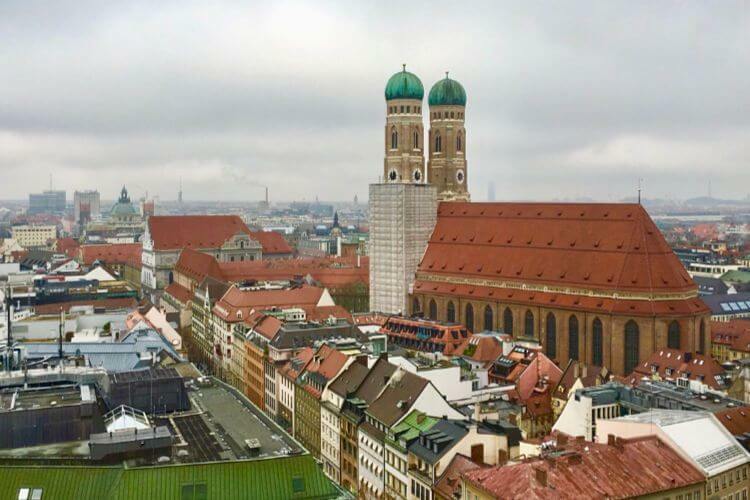 One of our favorites to visit as a family was the Deutsches Museum in Munich, where there is a life size underground mine for exploring, a replica of and tons of hands on activities. The kids won’t even realize they’re learning.